Becoming a mom – it’s the most life-changing event we go through. Our children become the center of our lives, and we must make adjustments in our schedules and priorities make sure they’re cared for. Instead of hiring nannies or using day care services, more and more moms are choosing to start their own online businesses so they can be there for their kids and still contribute to the family income. This is especially true right now during the tough economic times we’re living in. Even if you’re comfortably existing on one income, you may find yourself on no income soon enough if your husband gets laid off, downsized, rightsized, outsourced or whatever they’re calling it these days. Do you have the recommended 6 months’ living expenses tucked away in savings in preparation for this event? Statistics show many of us do not. This is all the more reason for mom to look for ways to make money online before the disaster strikes. * Start-up costs can be kept low. So even if you are not currently working outside the home, starting an online business is usually within reach with small adjustments to the budget. Setting up a website means acquiring a domain name and hosting space – and with tools like Wordpress available at no cost, you can literally be up and running for around $20. For a limited time, Reliable Webs is even offering FREE WordPress blog installations with new hosting accounts. You can be up and running with a brand new site for around $8. You will also want to invest in some education. Learning the basics of how to market your website online are not difficult, but be careful where you get your information. 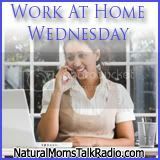 The Natural Mom Business Guide is one solid source of info. It includes an ebook with detailed information about researching your target market, the various ways to make money with a website, and how to get the traffic you need to earn income. It even has video and audio tutorials as well as printable “cheat sheets” you can keep by your computer to remind you of the essential steps you need to take in your business to build traffic and make more income. This is the guide I created that outlines how I began a profitable online business. So I know it’s good. * Doing business online doesn’t require one to keep regular hours. You can work early in the morning before the kids get up, during the baby’s nap, or late at night when everyone is in bed. And with the automation that the Internet has to offer, orders can be processed and virtual products delivered while you are sleeping or taking care of the kids. * You can get some work done with the kids right by your side. Older children may even be able to help you with simple tasks. Did you know that the IRS allows you to deduct wages (up to a certain amount) paid to a child who is age seven or older to work in your home business from your taxes? I have even trained my oldest son to add articles to my websites. He earns a nice wage for doing so, far more than an allowance, and is providing a valuable service to me. 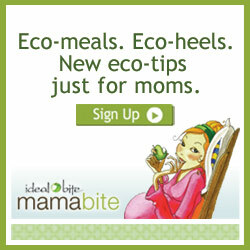 There are all sorts of online businesses that are great for moms. You could sell your crafts or start a recipe website, or you could start a podcast. You might offer services such as writing, transcription, web design or virtual assistance to customers around the world. Or you could create and sell information products. Even blogging offers impressive money-making potential. The possibilities are many, and there’s sure to be something out there that’s just right for any mom. Moms make up a large portion of the people who are making money online. This allows them to take a hands-on approach to raising their children while still making money to support the household. They don’t have to count on a sitter to take care of their children’s needs, and they don’t have to make a commute part of their daily routine. It’s no wonder that the number of moms starting online businesses is growing in leaps and bounds. If you need some assistance choosing a niche, get some coaching from another mom who is earning money with her online business. I offer coaching and you can get more information about my services here. I also highly recommend group coaching and learning as well as networking with Mom Masterminds. If you have questions about earning money online, please ask below!